One of my favorite features on the Xbox One has been the ability to pre-order and pre-download games. There is something truly satisfying knowing that your 60GB Halo Master Chief Collection download is ready and waiting for you when the clock strikes just past midnight (even if Matchmaking isn’t). We’ve been requesting this feature for ages (check out some old XBLA Fancasts), specifically with smaller digital titles that sometimes can be forgotten about. 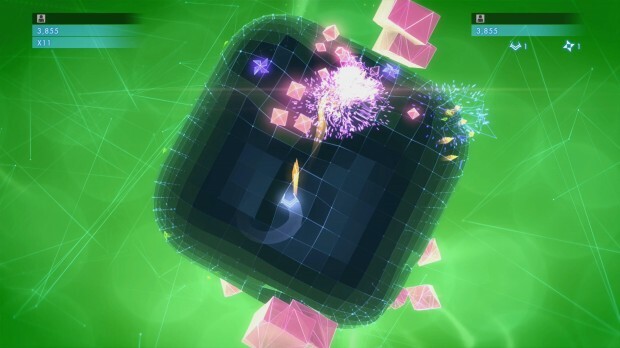 It looks like Microsoft is on the right track with this, as Geometry Wars 3: Dimensions is now live for pre-order. To make the deal even sweeter, the bundle comes with an exclusive level: “Blood Count” on a Torus-shaped grid with exclusive background. The game will not be live until 7:01 PM EST on November 25, 2014. Geometry Wars should need no introduction to XBLA Fans. The franchise has been huge for the platform. Geometry Wars: Retro Evolved and RE2 ranked 13 on our best XBLA Games of all time. As such, there is obviously a bit of hype for the sequel with Lucid Games at the helm, a successor company to Bizarre Creations. With a ridiculously blatant pun title, Geo Wars 3 breaks away from previous games with the addition of a 3D grid playspace that will feature a few different shapes.